The recent firestorm of debate and protest over last month’s proposed bills before the U.S. Senate, SOPA (Stop Online Piracy Act), and PIPA (Protect Intellectual Property Act), led to unprecedented petitioning by millions of people who believe these bills represent an infringement of their right to unfettered access to the internet. The result was unexpected, as both bills were scrapped in their current form. While opponents of the bills may be right in worrying that the potential for abuse looms large in this kind of sweeping legislation, we can’t forget that there are in fact, two sides in this debate. I have worked in the entertainment industry for over 25 years, both in radio and as a mobile DJ, as well as a video store owner. I’ve experienced the paradigm shift to the digital age first hand. I remember the fierce resistance record labels and movie studios put up at first, shunning the concept of digital distribution, even though fans and consumers strongly indicated it was something they wanted. This opened the door to a kind of “fight the man” propaganda from fans of the originators of online piracy, Napster, and once that door was opened, it was impossible to shut. The misguided propaganda that pours through even today seems to speak to the rebellious nature of youth, and endorses an idea that works of art and entertainment should be free for exchange, as if the production of these works has no cost or human effort involved. Most people have no concept of the work that goes into fine tuning a song or album; their knowledge of production doesn’t extend beyond creating playlists for their iPhone. The fact is, production and engineering is as important to the final product as the contributions of the artists. The relationship between the two is symbiotic. There’s a reason that so much great music came out of certain studios, such as Chess, Sun, Muscle Shoals, and Berry Gordy’s Motown labels – those studios had some of the greatest producers and sound engineers in the business. This costs money, and once you take production value out of the equation, and let musicians produce their own material, and the results will seem a bit, shall we say, undercooked. It’s the same reason films go through an editing process, and manuscripts are assigned editors to hone the finished product. The attitude that file sharing exists as a way to fight high prices set by corporations with deep pockets is a convenient way to endorse the theft of creative work. There is a simple bottom line here. Creative intellectual property is just that, property. It is owned by the creators, and may be sold and distributed at their discretion. Period. It does not mean that people can take it without paying for it, even they are growing impatient for it to become available on VOD or Blu Ray. The spirit of those ill-fated SOPA and PIPA bills may be overkill, but if something isn’t done, the future of arts and entertainment is in deep, deep trouble. The math is not complicated. If the production of works of art and entertainment costs money, and large numbers of people take it without paying for it, eventually no studio or record label will risk investing in it. That is my greatest fear. Long after I have retired from the DJ and video store business, I still want to live in a world where great albums and films are made. We’re starting to see the ripple effects of this in the film industry. The past year saw a record number of sequels, which are usually considered the safest bet for any studio. In fact, as Mark Harris of Entertainment Weekly pointed out recently, the top 10 films last year were all sequels; yet going back just 14 years, to 1998, not one of the top 10 was a sequel. Harris called this a “collapse of imagination”, but we really shouldn’t be surprised. Marketing for sequels is built in, and a fan base has already been established. Even though most sequels are generally inferior (with a few exceptions), they usually earn back their production costs. Studios are becoming more reluctant to greenlight projects which break new creative ground, and why wouldn’t they, since revenue for films has dropped off significantly since this became an issue. Instead, they sink small amounts of money into bland, direct-to-video titles that can be peddled to video stores and VOD outlets. Many of the greatest films in history were not the blockbusters; they were the mid-budget titles helmed by directors with a perfect combination of budget and creative freedom to give film fans something extraordinary. Now that we rarely see these titles produced, true film fans are the real losers. I do agree with opponents of SOPA and PIPA, that putting this much power in the hands of government and corporations is dangerous. Their argument that legislation such as this has a potential for abuse is legitimate. But it’s pretty clear people have adopted an attitude that if they can find it on the internet, it should be free. No artist who has poured time and effort into a CD, film, or novel would ever want that. This is the issue that has to be resolved if any compromise is to be reached. Imagine paying $150,000 for a movie… That’s the reality for 23,000 people who were named in a recent BitTorrent download case involving the film “The Expendables”. Nu Image studios, an L.A. based production company, filed the suit in February, and on May 4th, the IP addresses of 23,322 defendants were submitted to a federal judge in the United States. Nu Image is seeking damages from all the people who are accused of illegally downloading the film. In the U.S. damages of up to $150,000 can be awarded in cases such as this. Although the smart money is on the studio going for a smaller sum, just enough to make a point that if you choose to take films from the internet without paying for them in some way, it may cost you eventually. Cases like these show that, in the U.S. at least, the government takes illegal downloading seriously, due to the impact it has on the economy. Want to take a glimpse of what the home entertainment landscape will look like in the future? Not the far future either. I’m talking about next year. When Microsoft introduced the Kinect for its Xbox 360 console, critics scoffed that it would probably turn out to be just another novelty fad. Guess again. This technology is reshaping the way we interact with electronics. And while it may be mostly gamers who are using it right now, it’s only a matter of time before similar peripherals start getting connected to televisions and Blu Ray players. This video is a demonstration of how the Kinect will allow users to interact with the game “Ghost Recon: Future Soldier”. It’s strikingly similar to the way Tom Cruise interacted with his gadgets in “Minority Report”. Even if you don’t play games, watch this video and imagine the potential uses in your entertainment room. Considering the fact that apps like Facebook, Twitter, and MSN already exist on the Xbox, people adding Kinect to the mix are going to find themselves in a whole new experience. Zediva lawsuit puts new twist on an old debate. Arguments over DRM and copyright infringement have been going on ever since George Atkinson first set up shop in California, renting movies on Beta and VHS. As owners of a video store, we understand that at some point, illegal and legal downloading, as well as video-on-demand, will usurp our business for good. But in the meantime, it’s always entertaining to watch the companies fight over entertainment dollars. Honestly, the law is so cryptic that I gave up trying to understand its nuances long ago. However, I know enough about the issues that recent news about upstart company Zediva lawyering up to fight the MPAA over their rights to rent movies over the internet caught my interest. In a nutshell, Zediva rents the movie to you by putting a physical copy in a DVD player, then streaming it in real time to you over the internet. It requires a lot of hardware and some pretty sophisticated servers, but they claim that it falls within their rights under the law. Their argument is that what they are doing is the same as what a video store would do. They buy a retail copy of the movie, and play it on a DVD player. No pirating or copying is involved. If they have 10 copies of a movie, then only 10 can be streamed at once. The MPAA doesn’t see it that way, and is bracing to bury the nascent company. Rumors circulating that either Facebook or Google were on the verge of purchasing European company Skype veered off the rails recently as Microsoft stepped in and snagged it for a whopping $8.5 billion. A natural assumption might be that Microsoft is going to push integration with the Windows Phone. Couple this with news that the new Xbox 360 dashboard update is going to include an interface for using Paypal (which would eliminate much of the risk of using credit cards online, something that got Sony into trouble lately), and you can see that Microsoft has definitely got its sights trained on bringing entertainment and social media options to living rooms around the world. As if things weren’t bad enough for Sony, they still haven’t managed to get the doors locked on their Playstation Network. Word is circulating that they have had more breaches by hackers, who seem to be laughing at this pathetic attempt to secure the open wounds. Over 100 million accounts have been compromised at this point. A recent announcement that it will be at least the end of May before they can get things going again has enraged fans, most of whom are sick of not being able to play online (not to mention being fearful that their personal info may be getting hawked in underground auctions all around the world). The fun never ends…. 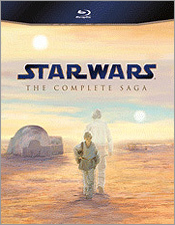 September 16th, 2011 has been slated as the released date for the Blu Ray version of the Star Wars trilogy. Fans will be able to choose between the full, six film saga (pictured on the left), or either of the original and prequel trilogies. Naturally, old George is propping these up with both barrels of his propaganda machine, trying to convince the world how these are THE definitive versions of the film. Of course, they said this when the DVD box set came out a few years back. And they’ll probably say it again when the movies are released again in the future, this time on a microchip hardwired into our brain that promises so much realism that we’ll be able to smell the sweat on a bantha’s….well, you get the picture. 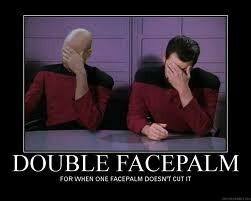 IGN calls it “the biggest cyber attack in history”. Not gaming history. History. Them’s mighty big words. Considering the scope of the attack launched against Sony’s network, and the potential chaos it caused, and may yet cause, perhaps it’s warranted. The ripple effect could be enormous. Or it could be…a ripple. Society tends to have a short memory these days. Politicians and stars break laws or disgrace themselves, but the world eventually forgives, maybe even forgets. Maybe the only people who will care about this in a month are the ones who had their credit cards compromised. I don’t play online much on the PS network; Xbox is my console of choice. I’ve heard some people say that this is why they choose Microsoft’s system, because we pay for access to a closed online network that protects us from crap like this. Sounds logical to someone with my limited knowledge of how the cyberworld works. Could be hamsters running on wheels fastened to gears held in place with elastics for all I know. I do know that at the end of the day, I’m not sure I trust any of these companies to fully protect me. I take my own precautions. To quote Tom Sizemore’s character Max Peltier in “Strange Days”: The issue isn’t whether you’re paranoid. It’s whether you’re paranoid enough. It’s funny how we never think twice about putting our credit card numbers and personal information out in cyberspace any more. Online purchases are so routine that people extend trust to most of these sites, assuming they will protect our info. Recent news that Sony’s Playstation network had been hacked, with tens of millions of accounts being compromised, some including credit card info, sent shock waves through the entertainment industry. With both Playstation and Xbox systems being used as a gateway to VOD services, it isn’t just gamers at risk of being made fearful of using these systems; lots of families and Netflix fans may also be feeling wary of keeping this kind of information on file with companies like these. The fact that Sony was called before a congressional committee in Washington illustrates just how wide-reaching and serious this breach was. Their response to some pointed questions was about as thorough as you’d expect from a company which was just brought to its knees by a cyber-attack. Most credit card companies protect and cover customers against fraud or stolen accounts, but I’d be more worried about the fear of identity theft. This sort of thing can cause a nightmare of red tape for people trying to sort it out. Stay tuned…this should get interesting.